Hello loverlies! I hope you enjoyed this readathon as much as I did! I want to thank everyone who participated, and give a special thanks to those who took the extra time to participate in the mini challenges as well. How did everyone do?! I did good – I didn’t reach my goal of 1200 pages or 3-4 books, but I was pretty busy this week and I still read more than I normally would, so I count that as a success! Both of these ladies are handling their giveaway winners, so stay tuned for that! This week ended up being way busier than I thought it would be! I didn’t read nearly as much as I wanted to, and I didn’t make my goal of 1200 pages or 3-4 full books. I did read 4 different books, but AGoS was almost done and I DNFed Burning Sky so those don’t really count. *sad face* Oh well, I still read more than I normally would in a week, so yay! 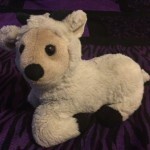 This giveaway is for Readathon participants only. To enter, you must have signed up on the original sign up post and must be following the host (me). If you participated in either of the mini challenges, or tweeted with the #LfBReadathon, you get bonus points! The Love for Books Readathon Kicks Off! 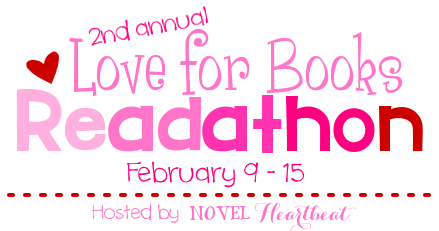 Love for Books Readathon Sign Ups! The 2nd Annual #LfBReadathon Kicks Off! I didn’t do the greatest. I finished two books and started 2 more.I could have done a lot better but life got in the way. I did meet my goal! I was really happy with how my reading went this week. I hadn’t finished a book this month yet but I finished 5 during the readathon. Thanks for the push! I read 3 of the 6 books on my TBR bUT I still comeleted my goals! It definitely turned out to be a much busier week than I was expecting. At least I pushed through, though, especially since I’ve been in a bit of a reading slump lately. Thank you for hosting! I read only 2 books for this challenge, but they were great! I enjoyed this readathon alot and will stay tuned for next year’s. Thanks for hosting. I did not meet my goals. But I feel like I did a pretty good job considering I’m also planning a wedding. It’s so difficult doing the things I want and love while so busy doing all the wedding stuff! :/ I will definitely participate again, though! I still had a blast! I only read two books, but I’m not a fast reader, so I’m okay with that. One of the books turned out to be my favourite book of the year so far, so that’s pretty exciting, too!